Our services that we provide to all our clients. We are moving innovation and industry foreword foreword every day. We manufacture roll in blast freezer. We have a large selection of customization for roll in blast chillers and freezers. Every unit that we make is custom-made according to the customer’s needs. We have large selection of customization options depending on the types of product and temperatures our costumers require. Different product and moisture content will require different types of machinery, air flow, fan power, fin spacing, compressor types, and temperatures just to name a few considerations. Our advanced control system allows us to achieve the highest efficiency and performance on the market. Our system has full control of the system enclosing the compressor load, temperature pull-down time, product temperature, fan speeds, compressor load and speed, and more.. Contact us and learn more about our blast chilling/freezing solutions. 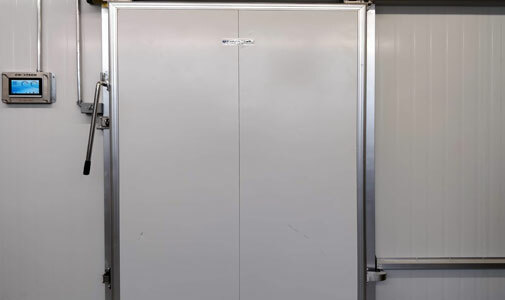 Spiral freezers are used to flash freeze a food product and other item. – In food-based applications, it’s used to lock in flavor, prolong freshness, and extend the life of the product. 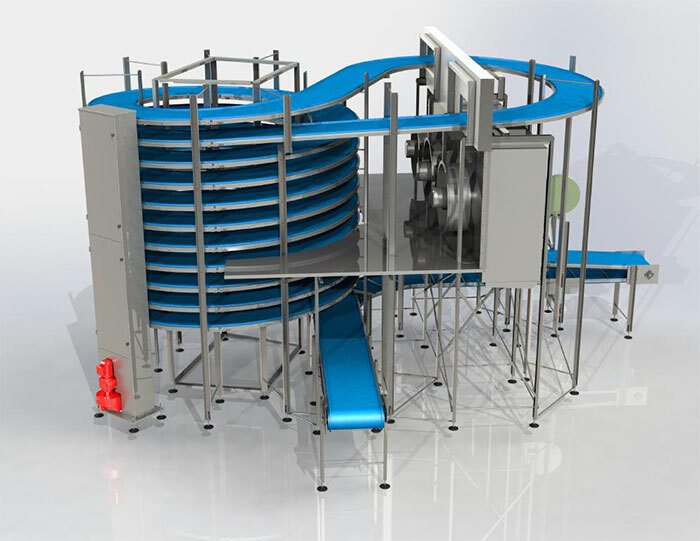 – The mechanical spiral system are useful with products that can’t be turned over and have to be in an upright position throughout its freezing journey. – Spiral freezers have many different designs and layouts. Spiral chiller/freezers are one of the key types devised in frozen or chilled food continuous-operation facilities. The spiral freezers have to be able to keep up with a continued heat load of the fresh or hot product entering it. Blast chilling/freezing application is a moving load system which is markedly different from the conventional walk-in chiller/freezer type. 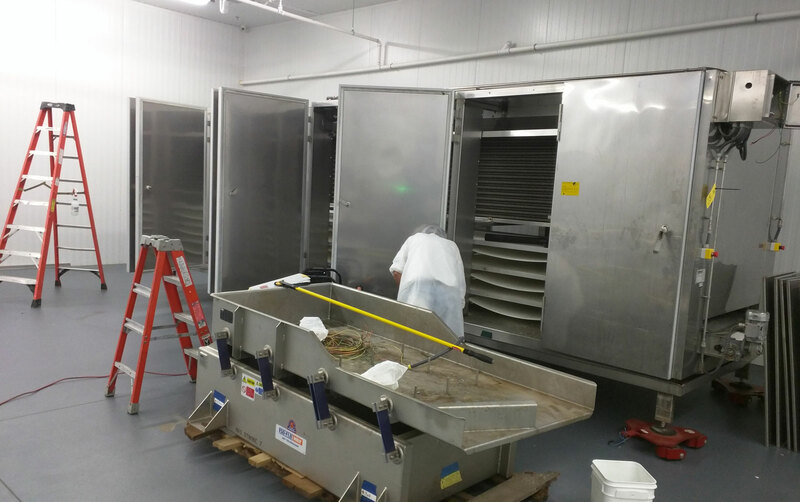 We design and build all the components in our spiral freezers starting from the panels and spiral mechanism to the electronics and control panels. We provide remote access to the control system to all our customers. Controls. We provide a fully electronic control system for our spiral systems. The configuration has full control over compressor load, compressor speed, positioning of the expansion valves, super heat of the expansion valves, speed of the condensing fan motors, speed of the evaporation fan motors, pressure on the low side and a high side of the refrigeration system, air pressure of the evaporating fans, amount of ice build-up on the evaporating coils, temperature of the evaporating coils in many spots of the coil array, temperature of the discharge gas after the compressor and any more parameters. We have recopies built in to our system for different product algorithms, which in turn provide different load and parameters to optimize performance and efficiency. As products have different moisture and fat content, they will freeze at different temperatures. 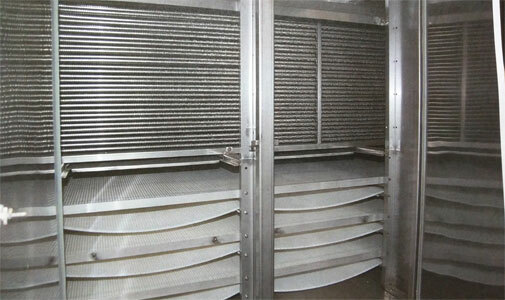 In certain situations and with applicable products, the tunnel chiller or freezer is the best layout. The tunnel freezer can accommodate a very wide conveyor belt. 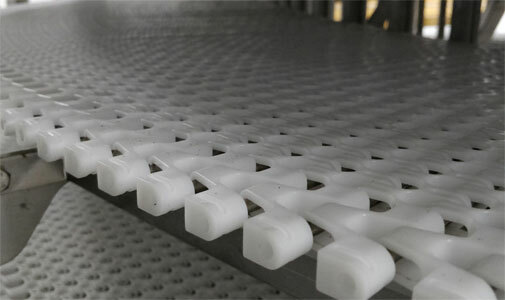 Tunnel conveyor chiller/ freezers can have a smaller foot print. The tunnel will usually be more narrow and longer. 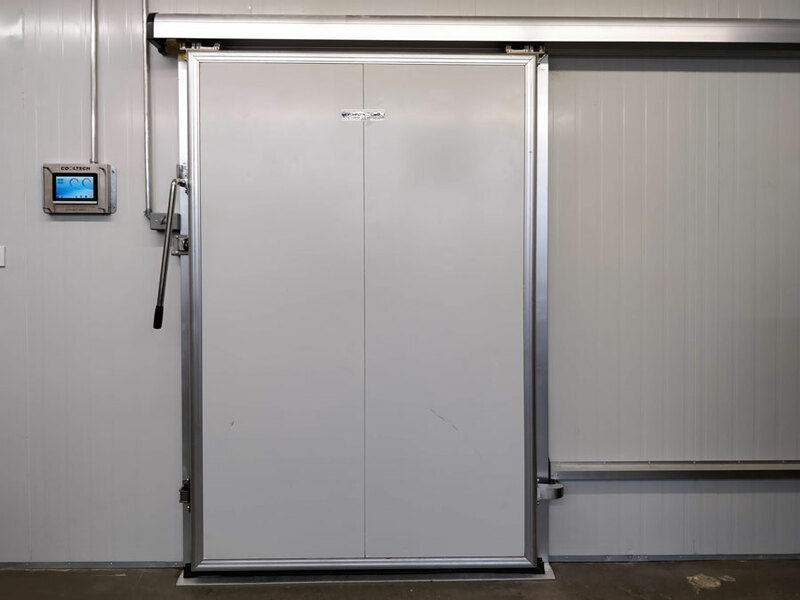 The tunnel chiller/ freezer can accommodate anything from a single pass to 20 passes. The design and layout of the tunnel will depend on the product that need to be cooled or frozen. Our control system is integrated appropriately into the tunnels. And all the tunnel solutions we provide to our costumers come with electronic control systems with remote access and complete remote diagnosing capabilities. You can learn more about our control system in in our “control” section. The control comes with individual functions depending on the customer’s needs, and the best part this is that it comes with no extra charge to the costumer.